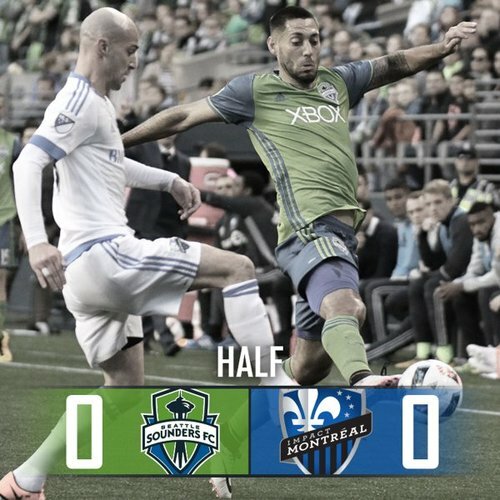 Follow along live as the Sounders take aim at their first points of 2016 as they host the Montreal Impact on Saturday night at CenturyLink Field. 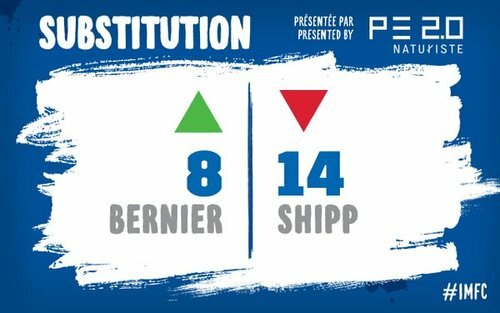 3’ - Tidy give-n-go from Valdez/Dempsey leads to the tidiest of tackles in the box from Laurent Ciman. Deuce is getting loose already. 4’ - Kovar is #dointhangs already. Smacks a left-footed blast inches over the crossbar. 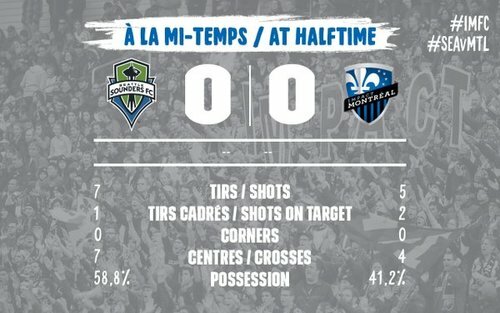 8’ - Sounders had three shots in the first seven minutes. And Kovar’s already had one save, which is pretty incredible. 9’ - Roldan just pickpocketed Lucas Ontivero like he was a lovable and bound-for-stardom street urchin in a Dickens novel. 12’ - Brad Evans just took down a deep ball with a chest and a couple juggles in the run of play. I THINK HE’S ALRIGHT. One touch too many for Piatti in the box.
.@CenturyLink_Fld is looking beautiful tonight ???? 13’ - Remick with a trap displaying his SATIN FEET, and his cross is lovingly played across the box but can’t find a head. 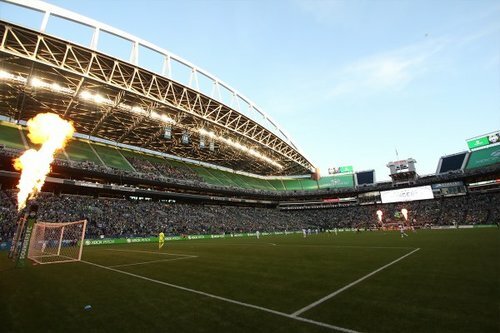 17’ - Seattle bossing this game like Bruce Springsteen pounding out a rendition of Atlantic City IN Atlantic City. All possession. 39’ - WHOA. 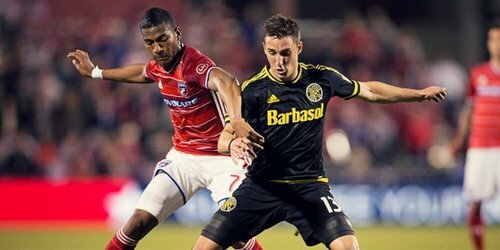 Evan Bush blacked out and picked up a deep back pass but the quickly taken FK is corralled by Bush. That was weird. 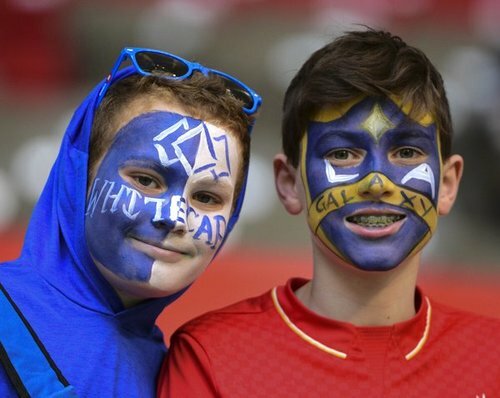 HT - Match fizzles to an end after 45 without much enthusiasm. We’re knotted at zero’s in Seattle. 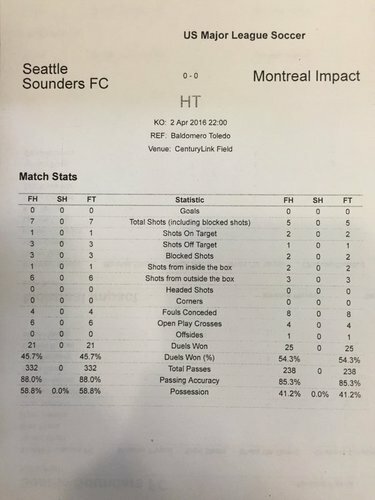 Sounders on pace to rack up 664 passes tonight, which would be tops this year, but just one shot in the box that half. And that one box shot was saved by Aaron Kovar. Like my grandpappy always said, when it ain’t falling, it ain’t falling. 70’ - Mears packages up a cross and sends it to Oalex’s head, but Anderson forwards it to the wrong inbox off his head. 72’ - Oalex just attempted a SPIN MOVE IN TRAFFIC. It didn’t work but I’ll never stop applauding.
.@clint_dempsey doing @clint_dempsey things ???? 73’ - Remick is down. I repeat, the Nutmeg King is down. 74’ - Hello, Joevin Jones. Oh we saw that, @clint_dempsey . 76’ - Ontivero earns himself a yellow card and Twitter keeps wanting to autocorrect to Antihero so I’ll just let it ride. 77’ - Goal please thanks bye. 78’ - Oalex’s speed gives Donny Toia a yellow reflexively. Pulled down on a break. He is lightning, but faster somehow.